When you need a 3D rendering design & graphic designer in Wisconsin, WI there is more to be found in America’s Dairyland than just cheese. Capital Exhibits design and exhibit developer is rated as a top graphic design & 3D rendering design company in business design. We realize how important it is to take advantage of every advertising and marketing opportunity. Our in-house team of contemporary graphic designers will meet all of your design outsourcing needs at an affordable cost. 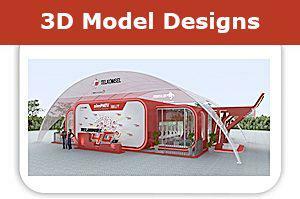 Are you looking for trade show booth concepts in the Madison-Milwaukee area? Do you need to design your tailgating team tee shirts in Green Bay? From Kenosha to Door County to Eau Claire and everything in between, we have the right graphic designer for you! We also provide wide format printing services directly on fabric, Vinyl, static cling and more. For more than 16 years in the trade show business, we have focused on quality and cost-effective success. We pride ourselves in creating a complete package for you on time and on budget. We understand the pressure to organize all the details of a major event and still create top-notch 3D rendering design & graphic design images and advertising. Our affordable graphic designers work with you in stages of development and proofs to create the best graphic design idea for your brand. 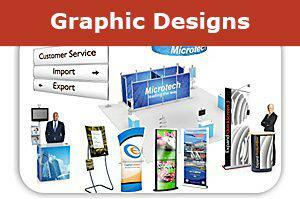 You can count on us to take exhibit displays to new heights with our banner design artists. Our goal is to help you reach your target-audience and Build Your Best Image. For everyday business needs, it can be especially difficult to create outstanding branding when you have limited access to graphic design services. Our professional graphic design team works collaboratively with our clients to design the perfect business cards, create eye-catching brochures or develop unique logos. Businesses of all sizes have turned to us to grow recognition in their industries and increase brand awareness. Our team is always up on the latest designs and technology of the trade. By integrating distinctive design aspects, we can bring a fresh new look to an outdated design – just watch as you establish your own trends in the business! For graphic design quotes & rates contact us today! Call 866-730-3746 to speak directly with a member of our team or send us an email at [email protected].